During an evaluated search and rescue exercise for Mississippi Wing, the region evaluators sprung a loss of commercial power availability upon us. The Wing responded quickly and was back underway with emergency power in less than one minute. 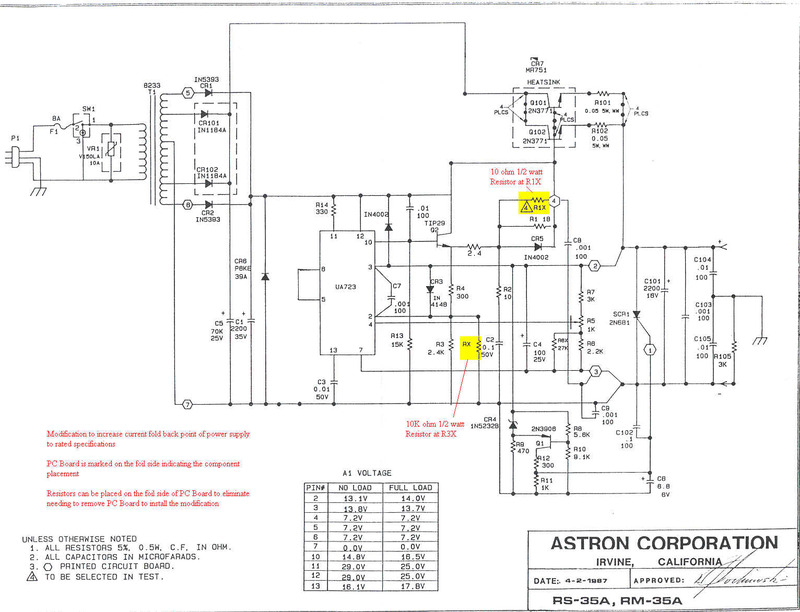 We used portable generators and a construction similar to the one described on this page. The original was constructed by Captain James Maher, CAP, of Mississippi Wing. It was his idea, we here at the CAP ES Resources website have merely capitalized upon it and described its construction to you. In any case, the Emergency Power Supply Box (EPSB) outputs 12 Volts of ripple-free power to supply your needs. The real-life needs for emergency power are well documented. Electrical storms, ice storms, floods, and hurricaines often bring down the local power grid. If you need to operated electrical equipment from a remote location for a relatively short period of time, this project can be your supply. Additionally, if you're worried about Y2K (even though you shouldn't) this might not be a bad project to build. Additionally, we're sure this isn't a new idea. Using batteries as a backup certainly isn't a revelation! As a simple project, however, we feel that members will benefit from this page. As a bare minimum, you will need a marine battery box, some sort of coupling device, and a lead-acid battery. When we say "marine" here, we don't mean Uncle Sam's Misguided Children (USMC)--we mean marine as in nautical--boats, in other words. 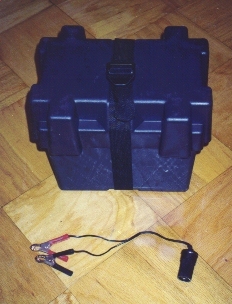 Both the battery box and the connecting devices can be found in the boat section of Wal-Mart, K-Mart, or any good sporting goods store. The box should run about $8 and the connector about $5. You'll obviously want some way to charge your battery, so an appropriate charger is also required. With respect to the choice of batteries, a marine deep-cycle battery is best. This is because the marine battery is designed to be run from full capacity to zero or near zero. An automotive battery can work, but it was designed to provide a high amount of power (amperage) for a short period of time. It is also designed to be continuously charged with a small amount of current. If you run an auto battery completely dead, it may not charge back up. Most car owners have run across this situation at one time or another! A marine battery can run anywhere from $50 to $125, depending upon the capacity. On the upside, you may have an old automotive battery in the garage. Make sure that your charger is compatible with your battery (auto battery chargers are not necessarily compatible with marine batteries) and that the battery box you select will fit your battery. Selection of the power coupling can be as simple or complex as you desire. Pictured above is a simple cigarette-lighter style receptacle attached to clips. To complete the project you only need to connect the red clip to the positive (+) battery terminal and the black to the negative (-) terminal. Run the wire outside the box through a vent hole and strap the cover down. That's it! You now have emergency 12 volt power. A more complex setup could involve and all-weather 12V receptacle firmly mounted to the outside of the enclosure. Another option is to wire several receptacles parallel to the battery. An astute project builder would also include a fuse inside of the box to prevent against a short. WARNING! A short or overcharge of the battery could cause the battery to boil over, leak, or EXPLODE. Additionally, lead-acid batteries naturally produce hydrogen gas as a byproduct. Keep the battery in its ventilated container and avoid ignition sources such as electrical sparks or open flame. In addition to 12 volt power, you can also hook up a power inverter that will supply 115V AC power. This is the same type of power that your wall outlet provides. The amount of time this works will depend upon the capacity of your battery. These inverters are available from many commercial resources such as department stores or Radio Shack. Shop around at your nearest Truck Stop--they often have very good deals on all types of 12 volt equipment. Notice that most power inverters utilize cigarette lighter sockets. Since this is also true of most other 12V accessories, it is another good reason for choosing this type of receptacle on your emergency power box. We've only discussed using a cigarette lighter type receptacle for our construction. This is because most people have power adaptors that will fit a lighter receptacle. You can always substitute your favorite connector for your power supply needs.